Sergio Bologna has long been one of the sharpest analysts and critics of the changing structures in the contemporary labour market. 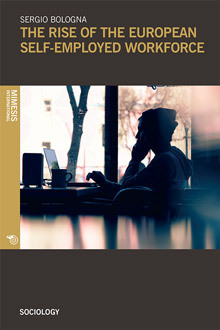 In this new volume, the Italian thinker focuses on the phenomenon of ‘freelance workers’, and particularly of knowledge workers, not just as another segment within the global workforce, but as an emerging category striving to construct its own identity. Far from limiting his analysis to the realm of the economy, Bologna investigates the difference between employees and freelancers also in terms of their existential experiences and of their social relationships, both in the public and private sphere. On this basis, Bologna argues that the development of a shared identity among freelancers can function as the first step to establishing a network of cooperation and solidarity, all the way to the creation of a union of freelance workers. Himself a freelance worker, Sergio Bologna offers the reader a powerful and passionate argument for political and existential change in the 21st century. Sergio Bologna was born in Trieste (Italy) in 1937. He has taught History of the Worker’s Movement and Industrial Society at a number of universities in Italy (Trento, Padua) and Germany (Bremen). In the 1980s, he began a logistics and maritime affairs consultancy for big business and public administrations and has been a member of expert groups for transport and logistics planning at the Ministry of Infrastructure.